Is This The World’s Most Expensive Joint? During the video by GQ, 2 Chainz and Dr. Dina smoke a joint covered in gold. That’s right, legit 24K gold, which happens to be edible. Watch here now! Imagine living in a world where you smoked a joint that’s rolled with 24K gold papers and packed with weed that costs $800 per ounce. All in a day’s work for 2 Chainz and Dr. Dina. 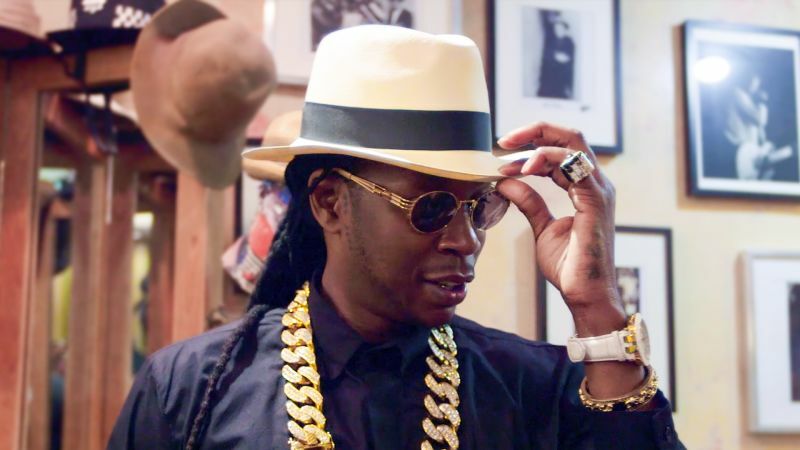 2 Chainz loves expensive stuff, especially when it comes to cannabis. During the video by GQ, he and the lovely Dr. Dina decide to smoke weed that’s rolled in 24K gold. In fact, they also bring the world’s most expensive weed, Isla O.G. This canned cannabis, in particular, costs $800 per ounce, while a single can costs $100. Not only do they burn an entire ounce, but they also smoke out of a ridiculously large pipe. The experience was indeed an expensive one. Dr. Dina lights the massive bowl like a champ. As the smoke comes pouring out, 2 Chainz can’t help but grab it and hit it. When the magical music begins playing, you know right then and there that he’s enjoying himself. As can be seen, how could you not have the time of your life while getting high off such an instrument? Although the joint they toke on is made of gold, you apparently don’t actually smoke the gold itself. Rather, you smoke underneath and around the gold. As a result, you’re left with golden ashes.